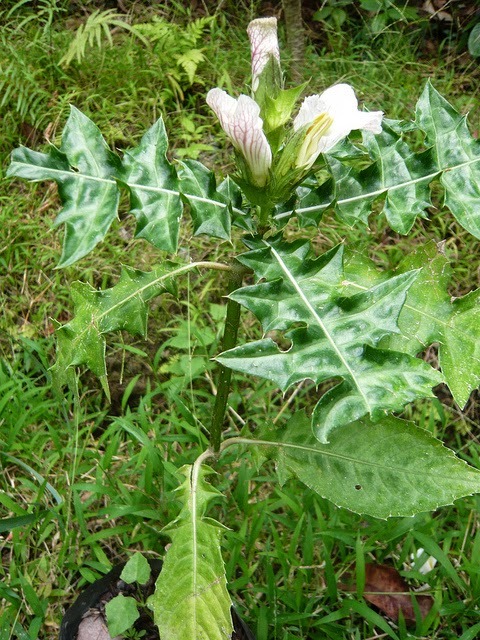 Daruju plants is very popular in indonesian home garden, Daruju or Acanthus ilicifolium L has been along time believed to cure hepatitis. Habitat: It grows wild in coastal areas, river banks and muddy ground brackish water. Description of the plant: Plant shrubs, annuals, approximately 1 meter high. Soft round rod, branched, whitish green color. Single leaf, reinforced pinnate, ovoid shape, spiny edges, are green. Single flower in the armpit and at the end of the leaf stem, yellow-crowned six rounded. Fruit boxes, shapes tubes, six bears and green. Root daruju 7 g; Rhizome temu lawak ( Curcuma xanthorrhiza ) fresh 7 g; Herba meniran ( Phyllanthus urinaria )7 g; Water 130 ml, Made infusion, Drink 1 a day 100 ml.